Did you know that trampolines are responsible for almost 100,000 injuries every year? Even though there are risks associated with trampolines, the pros outweigh the cons as long as you follow a few simple safety rules. You should also look for a trampoline with a few essential safety features and maintain your equipment. Here is how you can get the most out of your trampoline and create a safe environment where your children can have fun and exercise. Trampoline safety should be your top priority when shopping for equipment. Manufacturers are aware of injury risks and use padding and other safety features to prevent accidents and minimize injuries. Choose a trampoline with an enclosure net that won’t rip easily. Avoid trampoline where rope connects the enclosure to the frame. Clips are much safer since they don’t represent a strangulation risk. 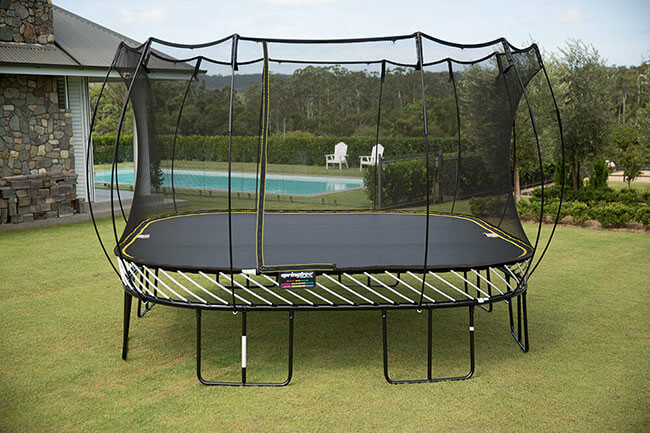 Look for a trampoline with a sturdy frame made from galvanized steel since other materials can rust over time. Ideally, there should be padding or plastic covers over the metal parts. The springs are another potentially dangerous element since your child’s foot could get caught in them. Look for a trampoline with foam padding over the springs. Padding is not always enough if there is a hard surface under it. 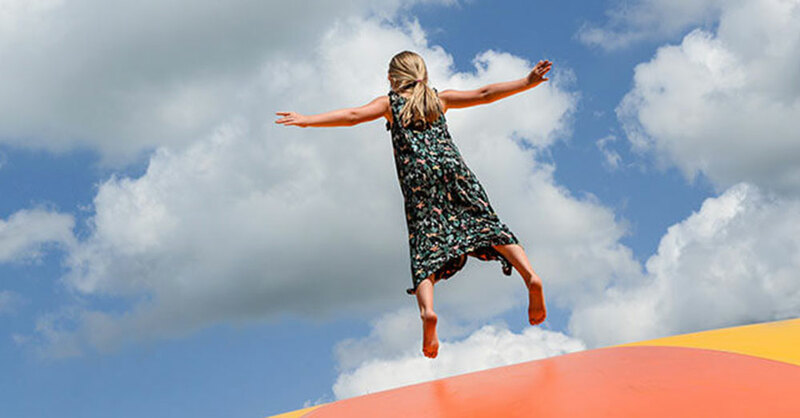 Avoid trampolines with a metal frame directly around the jumping area since padding won’t be enough to prevent bruises or more serious injuries. A trampoline that sits lower to the ground reduces risks of a serious injury if a child falls from the trampoline. You might also want to get a trampoline with an easy setup process if you don’t plan on leaving it in your backyard permanently. An easy setup reduces the risks of injuries caused by elements that did not get properly connected. There are plenty of funny trampoline fails on the Internet, but the truth is that trampoline accidents often result in serious injuries. Many parents fail to realize how dangerous trampolines can be until they end up at the emergency room. A 2017 study published in Pediatrics found that 30 percent of children sustaining trampoline-related injuries at home were under 6 and 62 percent were in the 6 to 17 years old age group. Fractures are by far the most common type of injury (32 percent of cases). Most patients sustain elbow and forearm fractures. Tibia fractures are also fairly common in younger children. Sprains are next (27 percent of cases). 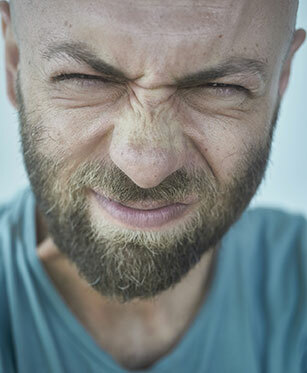 Contusions and abrasions are common as well (15 percent of cases). Lacerations (10 percent of cases) and concussions (6 percent of cases) are other common serious injuries. This study also found that 32 percent of trampoline injuries sustained at home affected the arms while 18 percent affected the head. Cases where the child is at risk for nerve damage or spinal cord injuries are extremely rare, but this is a risk that parents should still be aware of. Note that this study looked at data collected in emergency rooms. These numbers do not include injuries that weren’t serious enough to warrant a trip to the hospital! A lot of trampoline accidents would not have happened if the jumpers had followed a few basic safety rules. If you are thinking about adding a trampoline to your backyard, you need to establish some clear rules to keep your children safe. No jumping on the trampoline without adult supervision. The best way to prevent unsafe behaviors on a trampoline is to have an adult present at all times. It also mean someone will react right away if a child sustains an injury. One child at a time. Having more than one child jumping on the trampoline together increases risks of concussion. A majority of young children who end up in the emergency room with fractures either collided with an older child or were accidentally pushed from the trampoline by another child. No stunts. Unsafe practices like attempting backflips or climbing on the garage roof to jump on the trampoline greatly increase risks of serious injuries. Adult supervision is a good way to prevent this type of stunts, but it is best to tell your children they shouldn’t attempt any kind of stunts. Be firm from the beginning with these safety rules and think about restricting access to the trampoline when there are no adults available for supervision. Trampoline placement is another thing to consider. Avoid placing the trampoline under tree branches or too close to a garage wall or a hard surface in case children fall off. Trampoline maintenance and care is important for the safety of your children. Accidents can happen due to equipment failure. The mat of the trampoline goes through a lot of wear and tear. There have been cases of children jumping right through a worn-out mat! You can prevent this from happening by always having your children take their shoes off when using the trampoline and by using a protective cover to reduce damages from UV rays and humidity. You can purchase a replacement mat for your trampoline if yours shows signs of damages. The springs are your trampoline can rust over time. You should invest in a foam cover if your trampoline has exposed springs and should replace old springs as needed. 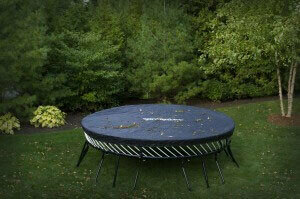 Do not let leaves and snow accumulate on the trampoline mat since the weight puts a lot of strain on the springs. Frame elements can sometimes rust. It is best to invest in a trampoline with a galvanized steel frame to avoid rust, but you can also protect frame elements by adding a cover and placing your trampoline in a spot where humidity won’t build up. Even though there are safety risks associated with trampolines, this activity is still a great way for your kids to get some exercise and to socialize. You just need to keep in mind that your children should always follow a few simple safety rules when using the trampoline. You should also keep safety in mind when shopping for a trampoline and choose a model with a sturdy frame and with enough padding to prevent serious injuries, even if it means spending a little more. Lastly, don’t forget to add trampoline maintenance to your list of things to do! Numerous wounds are endured unnecessarily on trampolines every year due to the fact that appropriate safety rules and regulations are not looked after as well as they should be. One such rule with regards to your trampoline is a trampoline safety pad. Such little addition to your backyard trampoline apparatus is capable of saving you from severe damage. I'd really appreciate if you could kindly please share your thoughts. Kimberly - not much to say other than a supportive yes. Well secured, thick, protective pads over a trampoline's springs are a must have for safe operation.